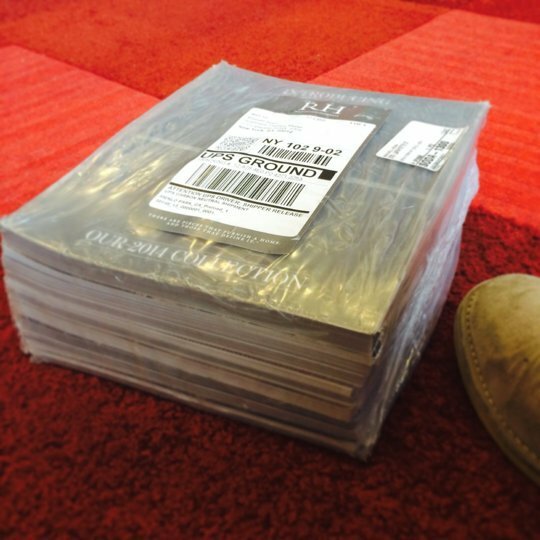 In defense of Restoration Hardware, they are not entirely irresponsible because they use forest certified paper and partner with UPS, to purchase carbon offsets. But I can’t help feeling that this is a half-hearted attempt to appease concerned consumers. There is a tremendous amount of research and data indicating that consumers are increasingly concerned about the environment and are looking to corporations and brands to be responsible citizens. Clearly Restoration Hardware is aware of that. But from a brand perspective, this evolving consumer sentiment offers an opportunity to be truly innovative. Brands that embrace CSR and start to weave sustainable practices into as many elements of the business as possible, can build brand loyalty and generate new business. I’m not talking about implementing token sustainability initiatives but rather about fundamentally embedding sustainability in the brand. And thinking about it as an opportunity to drive innovation and creativity. 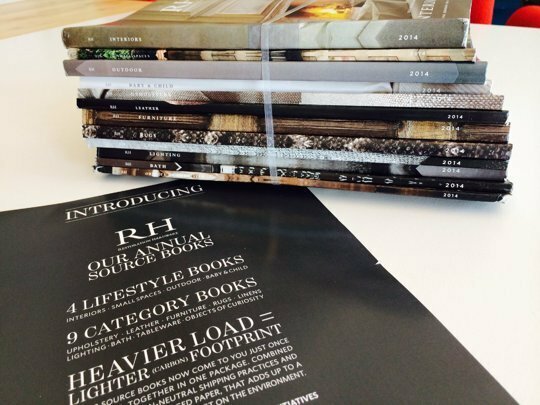 Restoration Hardware has an opportunity to truly differentiate their brand in this cluttered and highly competitive category, by challenging the catalog model and finding new, exciting and compelling ways to engage with consumers, delight them and make them feel good about their purchase. It can start with one small initiative, like eliminating printed catalogs, making a bold statement about that and using it as a marketing opportunity. And that can lead to bigger, more fundamental changes in sourcing, supply chain practices, product development and more. Brands that engage with consumers on these initiatives now, and invite them to be a part of the journey to a more sustainable future, will ultimately be the winners.